When on a day trip to Lecco from Bergamo it is well worth taking the time to visit the historic fishermen’s quarter of Pescarenico. Pescarenico was immortalised in the classic novel I Promessi Sposi (The Betrothed) by Alessandro Manzoni. 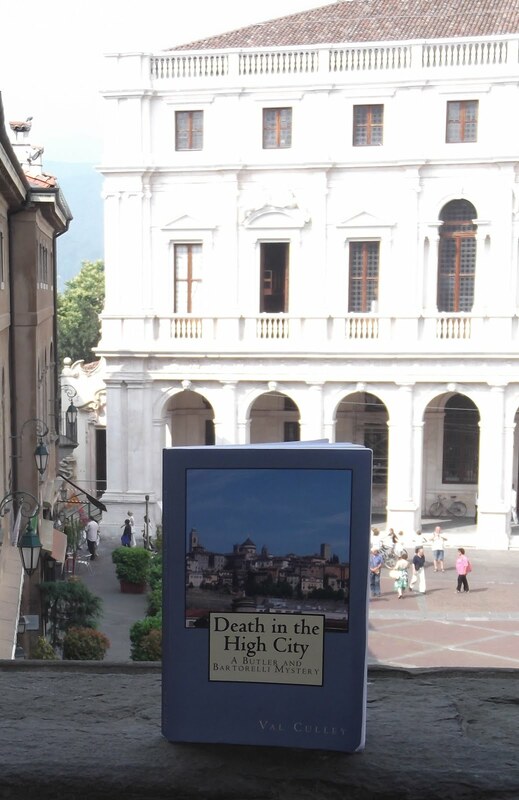 It was the setting for Padre Cristoforo’s convent in the book and it was also from Pescarenico’s shore that the character Lucia set off in a boat to escape the clutches of the evil Don Rodrigo. The village grew from a cluster of fishermen’s homes at the side of Lago di Lecco (Lake Lecco) and an inn became established there in the 19th century. 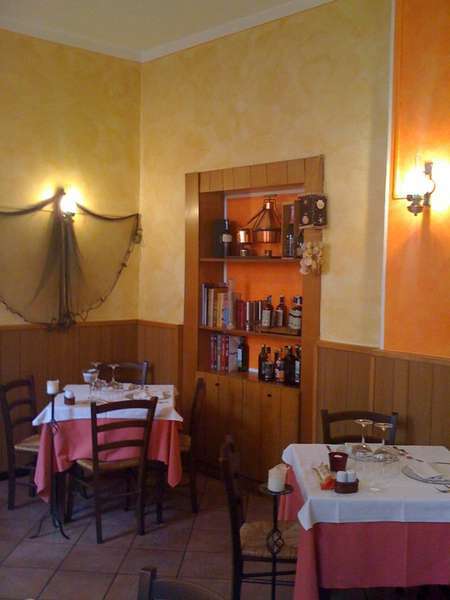 Now named Trattoria Vecchia Pescarenico, the inn is located at number eight Via Pescarenico, a small street leading down to the side of the lake. Today it is an excellent restaurant specialising in seafood. It is advisable to book in advance, but we were lucky enough to get a table for lunch in one of the two small rooms when we came across the restaurant unexpectedly during a recent visit. There was a good range of seafood antipasti, including unusual dishes such as capesante gratinate (baked scallops served with a pea puree) and gamberi in salsa di ceci (prawns in a chickpea sauce). Among the many pasta dishes were the more unusual tagliatelle alla polpa di granchio (tagliatelle with a crab meat sauce) and gnocchetti alla pescatrice con olive (small gnocchi with a seafood and olive sauce). The main dishes included rombo al cartoccio con pomodori primavera (baked turbot with spring tomatoes) and grigliata di mare (an impressive selection of mixed grilled seafood) available only for a minimum of two people. There was a good selection of wines from the region, including reasonably priced Lugana and Prosecco, as well as a comprehensive list of wines from other parts of Italy . We had a very good meal, the service was friendly and the owners took the time to talk to us about the area. For more information, visit http://www.vecchiapescarenico.it/ or telephone 0341 368330.